About a week after Facebook and Spotify upgraded their status to in a relationship, user feedback on the integration has settled in- and most of it is pretty snippy. Spotify had a pretty enthusiastic reception in the US when it launched in July, but some early adopters seem to have soured on the service since the full scope of its Facebook friendship was revealed as users got used to the changes. 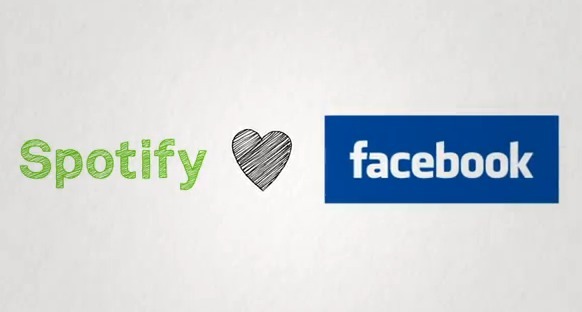 Earlier this week, Spotify updated their blog with a post titled “What you share and how to control it,” ostensibly to curb user outcry over the Facebook-Spotify coziness- apparently many commenters are not Facebook-Spotify shippers. Below are some of the pissed off sentiments left in the comments section, which kind of sum up the tone of user opinion of the partnership. Have you been burned by awkwardly published songs or a cluttered news feed since the hook-up? Does it seem the Spotify-Facebook connection has harmed Spotify more than it’s helped? I wont use Facebook as I have zero trust of their privacy policies and continual shifting ground on what data is collected and how it is used. I’m a premium subscriber and if a Facebook account is going to be a requirement in the future then that is the end of our relationship, sadly. I hope you guys don’t go down this route. Please remember that not everyone is open to hosing their lives across the internet via the ever widening and less restricted Facebook pipe… Your early adopters and more tech savvy users I would include as part of this group. I have a paid non facebook linked account and I am seriously thinking of dumping Spotify… Not cool Spotify. I DON’T USE FACEBOOK! Requiring me to link to is is going to lose you a PAYING customer. Stupid move. I stupidly agreed to the new changes which publish every song I listen to at the top of everyone’s news feed. After realising I don’t want this to happen any more, I’ve tried to revert back to just being able to see my Facebook friends at the side of Spotify so I can look at their playlists and they mine, but it’s impossible. All I can do is attempt to make the ‘listening now’ playlist post visible to only me, but I just don’t trust Facebook to do this, and even so, it still clutters up my news feed. If I click “disconnect” in my settings it completely gets rid of the friends bar, which I don’t want to do. I’ve been a proud Premium subscriber since the beginning, but have enough problems with Facebook to have deleted my account with them a long time ago. As a heavy web user but not a Facebook member I find the ‘sign in using Facebook’ auth model to be inconvenient and its growing prevalence on the net is troubling.